Where our Oregon mites are going? A Bridge to Jesus-the SSS Soccer Clinic and Beyond $5,000 FULLY FUNDED! Assisting Youth/College Students to "be a Friend"/Camp Counselor at Bethesda Lutheran Communities Summer Camps $6,500 FULLY FUNDED! Expanding Outreach to Native Americans on the Olympic Peninsula, Washington $5,000 FULLY FUNDED! Graduate Studies for International Leaders at Concordia Seminary, St. Louis $3,950 FULLY FUNDED! Isaiah's Promise in Memory of Isabelle Schutz $3,950 FULLY FUNDED! LPFM Radio Station $6,500 FULLY FUNDED! Project "GO" Gospel Outreach Share Jesus $5,000 $1,000 FUNDED! The Lutheran Women’s Missionary League was started on an act of faith: faith in God that He would provide the means to carry on the work; faith in our Lord and Savior Jesus Christ who not only gave the command to carry the Gospel to all the world, but also promised that He would always be with us; faith, too, in the love and loyalty of our women and their willingness to consecrate themselves to serve Him wherever He has need of them. This faith has been more than justified by the blessings He has showered on the League. May our Lord continue to guide and bless the efforts of this organization and may the League members always remember to put “first things first” in their humble service to Him. When people suffer difficult or traumatic events in their lives we want to remind them that God is still with them in their suffering. 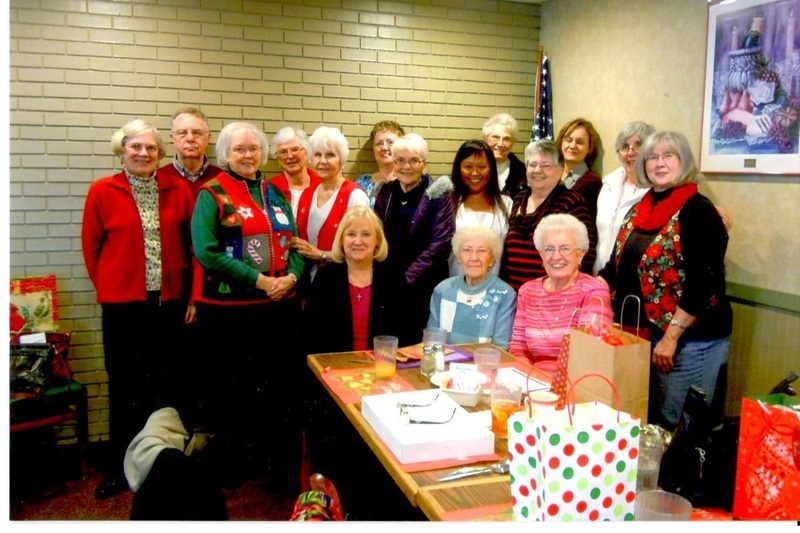 Our prayer shawl ministry helps people to feel God's loving arms wrapped around them in the prayer shawls that they receive from members of the Guild. The prayer shawls presented are knitted or crocheted by hand by women in the church. As they are knitting or crocheting they are praying for the person to whom the shawl will be given asking God to comfort and bless the person who will ultimately receive the prayer shawl. Those who crochet or knit the shawls report feeling as blessed as those who receive them. Upon completion the shawls are blessed by the pastor during a church service. Then when the church learns of a person who is experiencing difficult times they are presented a prayer shawl. Women receive a shawl, men are given a lap covering. 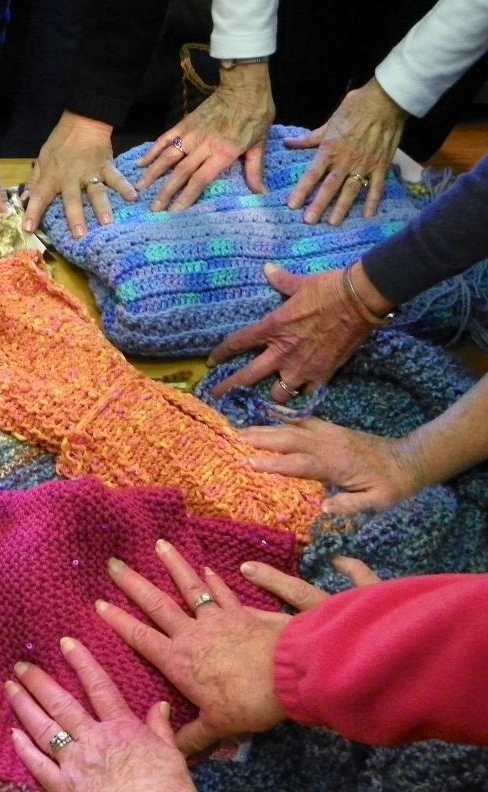 These prayer shawls are part of Immanuel's outreach to the community. Prayer shawls can be given to anyone who is experiencing troubling times in their lives. Contact the church office or a Guild member to have a prayer shawl given to someone you know who might need to feel God's love.